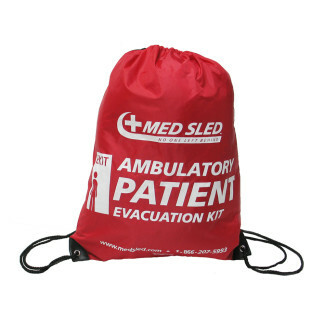 Med Sled® Ambulatory patient evacuation kits are designed to provide specific necessary tools for your ambulatory patients to increase the safety and speed of your evacuation. 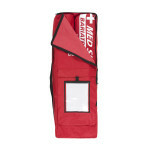 Conveniently placed into a Cinch sak that can be worn on the patients back. 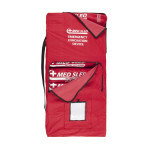 Med Sled® Evacuation Kits provide the necessary tools for evacuation ranging from staff support to patient support. 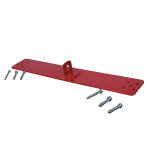 The design of the kits are to help evacuating a building easier for staff and give the necessary support for patients to move across surfaces they may not be prepared for. 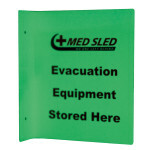 Med Sled® has partnered with over 3500 facilities to help prepare them for evacuation. The kits include items ranging from megaphones to belonging baggies for your patients to carry their valuables.